Up to this point in our journey of companioning our greatness we have explored what greatness is and how we might recognize it. Now we come to that part of the journey where you are invited to explore making a commitment to companioning this greatness. For most us, our greatness is like sleeping beauty locked in the tower (intellect) awaiting to be kissed awake so that we might KNOW what it is to feel whole. The invitation here is to invite the experience of Self affirmation. This is where you learn HOW TO invite affirmation from the Universal Intelligence of which you are a part but never apart from. This is a more radical and revelatory practice that repeating affirmations. It invites you to trust a power beyond the limitation of your personal sense of self. In learning to companion your greatness you make a choice between self-affirmation which is the practice of developing the personality and the practice of inviting the Presence that lights up the personality. There is nothing wrong with personal development. It is needed. It is the work of creating strong ego boundaries so that you can be graced the experience of the Boundless. 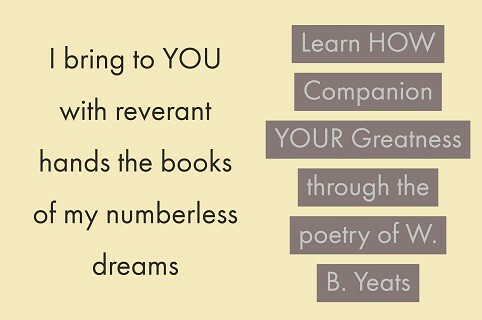 In this course you are invited to companion your greatness. So what does it mean to be a companion? This indicates that a companion is a person who. symbolically speaking, someone you break bread with. Another way of saying this is that a companion is someone with whom you are in communion and not just someone who you are in communication with. Companioning your greatness is a journey in radical self-acceptance and revelation. 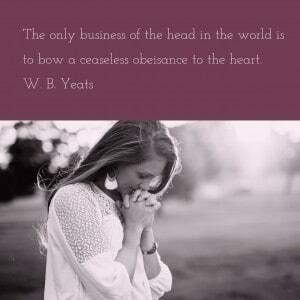 You are called to be one who in in communion with that which is your Essence. You are called to become your own Anam cara or Kalyāṇa-mittatā. So what would such becoming involve? The word ‘faith’ as it is used here denotes a willingness to enter the unknown in order that you can be KNOWN through by Universal Intelligence. Spend two minutes writing about how these qualities appear in your life. Take two minutes for each if necessary. Notice is when you write about any of these qualities if judgement of yourself arises. If this happens then practice simply witnessing this judgement. Do not judge the judgement.